Energy resilience has long been a priority for the military. The Department of Defense is increasingly turning to clean energy in resilience applications. 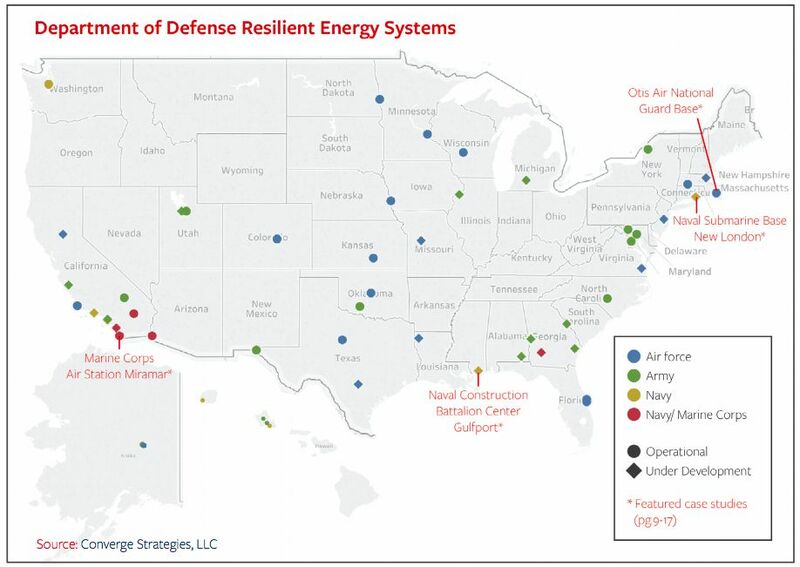 A report released Friday by the Association of Defense Communities, a membership organization comprising communities connected to military operations, highlights many of the clean energy and microgrid installations supporting military bases across the country. The case studies offer examples on the best ways to actually build resilient energy systems. So far, installations have often focused on diesel generators or natural gas turbines — but that is increasingly shifting toward a more diverse supply mix that includes renewables and battery storage. A microgrid project at Marine Corps Air Station Miramar near San Diego, for instance, incorporates natural-gas generators, diesel generators and landfill-to-gas. It also includes battery storage and 1.2 megawatts of solar PV. The microgrid can supply islanded power to the base, including its 100-plus facilities, for three weeks. But operators at the air station have also dealt with challenges related to landfill gas quality, which keeps one turbine offline about 9 percent of the time. To make sure that doesn’t impact possible emergency operations, the base plans to add a 3-megawatt battery storage system in 2020 to make up capacity. In addition to the resilience-related attributes of the microgrid, the Marine Corps can use the system to participate in demand response programs through its utility, San Diego Electric & Gas. Funding for the microgrid came from diverse sources. Fortistar, a company that manages cogeneration, landfill and biomass power plants, operates the site’s two landfill gas generating facilities. The base has a 15-year power purchase agreement with the company. Miramar received a grant from DOD to build a distribution line from the landfill gas facility. A grant from the California Energy Commission will fund the base’s new storage project. The base also plans to add more landfill gas capacity, and is in talks with the city of San Diego to fund it. The passage of a 2013 bill, the National Defense Authorization Act, made that type of collaboration possible only recently. The military can now work with state and local governments on projects if they show financial benefit or enhance a military mission. 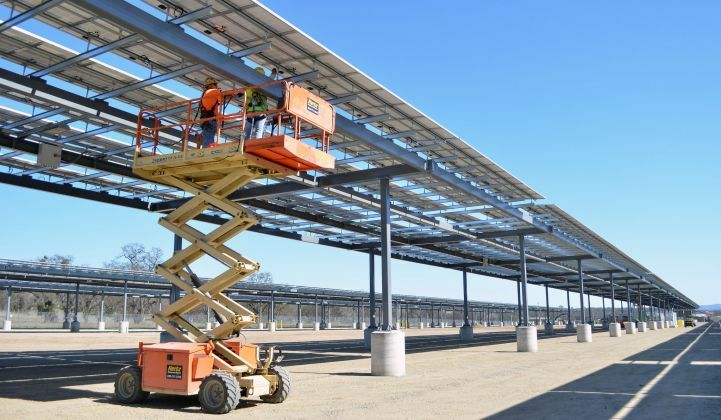 In addition to the microgrid at Miramar, the report highlights similar projects across the country, including a PV system in Mississippi connected to diesel generators and an energy storage system to power a Navy base, and a wind-powered microgrid on a National Guard base in Cape Cod slated to come online next year. While attention is focused on Trump's coal bailout plan, resilience is already underway at the federal level under the military. Wilson Rickerson, an author of the report and a principal at consulting firm Converge Strategies, said the military projects show that resilience and clean energy have moved beyond partisan discussions.